I must do internal preparation before I enter Shambhala spaces. We go through an emotional wringer as we get to know our minds. The waterfall of thought rages wildly and drives us off center. To practice is to prepare for floating on this raging river. And this raging river has many different currents within it. It is in Shambhala spaces that I have been asked if I have made up my name. Where I have been told that I could pass for white if I wanted to, that the speaker didn’t even think of me as Asian. Or, conversely, that I must have an easier time with the teachings because I am Asian. In Shambhala spaces is where I have been told that East in the Great Eastern Sun means exotic. I have been told about a really good book I must read about a young Vietnamese girl that the speaker is sure I’ll love. I am used to having to explain how to pronounce my name, but it was in a Shambhala space that I was told my pronunciation was wrong. I have come to appreciate the relative truth that one should expect microaggressions to exist everywhere that is influenced by a system of White Privilege, even within an organization that is actively trying to build an enlightened society. I also feel the absolute truth of non-conceptual jarring pain I experience when these microaggressions come from people who profess to believe they are welcoming to all. Over the years, my internal preparation has included accommodating this specific dual reality using the tools of the Shambhala Path. I was invited to the first ever Shambhala Social Engagement Think Tank held at Sky Lake Shambhala Meditation and Retreat Center over a fall weekend. 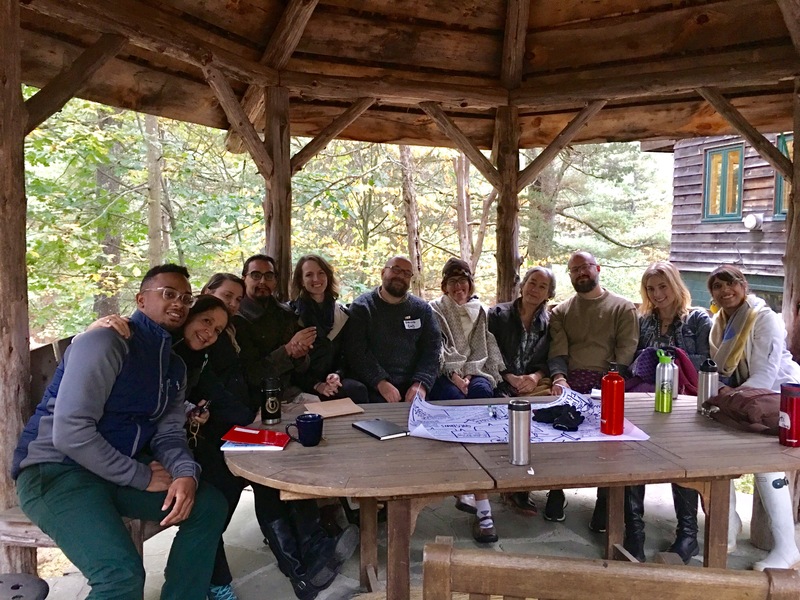 The Think Tank was convened to discuss social engagement work within Shambhala, and ultimately to start defining what a Shambhala version of social engagement would look like. I was invited to offer my experiences as a woman of color within Shambhala and as Center Director for the Madison Shambhala Center, where our sangha is in this exact process (please see Shambhala Times story “Making Diversity Personal” from March 19, 2016 by Miriam Hall and Shastri Mark Blumenfeld). I found that I had not prepared myself for this space. There is a traumatic vulnerability to talking about race with many white people who I do not know. I found myself to be lethargic and tired. My body was stiff. My stomach hurt. I know everyone in attendance had an intention that was born out of a belief that this Think Tank was one of many necessary steps to building enlightened society. However, I did not feel safe. I voiced this in a feedback and discussion session. I wanted to make clear that I had appreciation, but I also had quite a bit of pain. I needed space for that pain. Other People of Color shared their experiences. The Think Tank design team responded by re-establishing the view and having us form two caucuses: a People-of-Color caucus and a white caucus. I again extend appreciation. My experience of the People-of-Color caucus was uplifting. We discussed, we shared, we pushed each other, and we laid bare our broken hearts. We remembered the call that has been extended to all of us as Shambhala Warriors. The call that is both beautiful and wrenching. We remembered to live in that space, fully embodied. I remembered that to realize my nature as the profound, brilliant Rigden includes the need to dissolve the layer of White Privilege that surrounds me, defines me, and covers my basic goodness. I firmly believe that to build an enlightened society requires recognizing the influence White Privilege has had on Shambhala as an organization, and also requires using the tools of Shambhala as a lineage to dismantle this murderous, oppressive system. The tools of Basic Goodness, the tools of the Great Eastern Sun, the tools of the Warrior are exactly what this world needs. When one feels the pain of White Privilege, either as a Person of Color or as a white person, we know how to sit with that pain. We need to recognize this pain as one of the many edges we find within ourselves and dissolve with our practice. White Privilege exists as both a social construct and a real system that kills people. Shambhala’s formation as an organization over the years cannot have been built without the influence of White Privilege. The power of the lineage can reach through the relative formation of this organization to dismantle White Privilege. There was not complete closure on this Think Tank. The caucuses did not share out to the entire, mixed group. I can see why this would be unsettling. I ask all involved to trust that the People of Color needed to connect with one another; we needed to sift through our internal landscapes in a safe space. We needed to do this in order to radiate out. The radiating out is yet to come. We need more of these Think Tanks to establish the ground, so the radiating out can be sustainable and authentic for all of us. I offer a heartfelt thank you to the many people involved in creating this important event. I am honored to have participated. I am filled with joy that we are embarking on this journey. Here’s to leaping into the unknown with our tender hearts engaged. 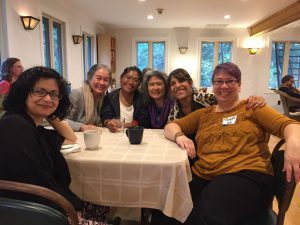 Editor’s note–the next two stories in this series will also be personal narratives from Think Tank participants: Shambhala Center Director Ashley Hodson, and Alexandria Barnes, Assistant to the Director of the Office of Social Engagement. Readers who missed the first story in the series can find it here: https://shambhalatimes.org/2017/11/14/think-tank-four-voices/ . So good to hear you, Tuyet. Thank you for your moving articulation of the value of the caucus process as you experienced it. Here’s to leaping! Thank you David! I appreciate your generosity and support. It’s quite tender to put this in writing for many to see. Sounds like a challenging program. Are there any conclusions that can be shared? Are there ideas about how conversations about race, gender, class, and identity can happen so that genuine healing happens?